Maps can save your life. Maps can get you un-lost and can show you the way. Maps are your escape route outta the city. In a digital world where we are so connected w/ internet, smartphones and GoogleMaps, it is amazing that folks can find there way to real back roads of California. Don't be shocked when your digital signal drops at the wilderness edge and you are finally "away". Most online map sources are NOT accurate beyond the city limits, much less the forest boundary. Seriously folks, THEY don't want you out there. There is no place in the Wilderness to spend any money. Many have not properly logged the back roads yet, or perhaps they just won't make it available to the general public. You'll be lucky if they get the road number correct. Availability of good maps is an ongoing issue. It's a unique factor in the map selling business. 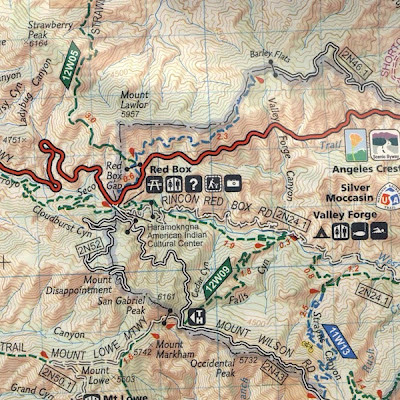 Although Total Escape carries a variety of California maps from numerous map vendors, there is still a slight chance we cannot get the exact map you want, by the time you need it. Best advice is to order maps as early as possible before your departure date. We offer USPS Priority Mail shipping if you need it within a week. Most hiking maps are now printed in waterproof, tear -resistant plastic, some on recyclable polypropylene (PP) plastic. Maps go outta print and may never get republished. 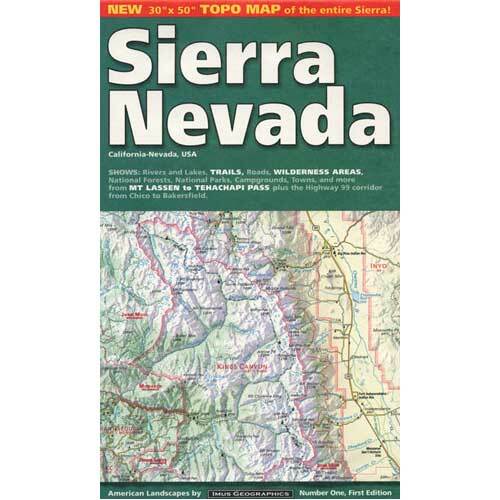 Maps go outta print and can come back within months, or the next version may be years to come. Sometimes there are decades between map editions, especially ones that are government produced. The cartographers are reworking that one. There are some property boundary issues. We have no expected due date, nor print date. Maps fall into many categories (like by region) but we are locally focused on the West Coast. Total Escape concentrates on outdoors in California and Baja California, so this list below will stick to map publishers and availability. Ever popular Baja Almanac can go years without printing, updates and new editions. The spiral bound, topographic atlases created by the USDA go outta stock often. Older USDA recreation or wilderness maps may run out, never to come back in stock. 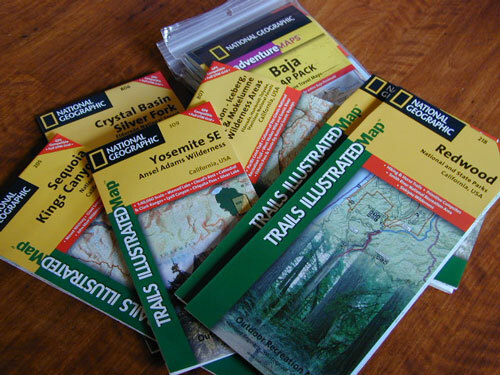 USDA Wilderness maps go out of stock often and can be out for months or years.